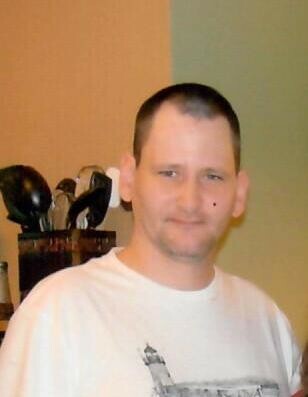 Mark D. Fulton, 44, of Owensboro died Monday February 4, 2019 at his home. Mark was born in Owensboro to Gail McCoy Fulton and the late Jerry Dwight Fulton. He was a member of Bible Baptist Church. Survivors include his Mother-Gail McCoy Fulton of Owensboro; his brother-Robert (Susie) Fulton of Olaton; his sister-Jerrianna (Todd) Nix of Owensboro; his nieces-Alyson (Christian) Burgans and Bethany (Jared) Osborne; his nephews-Jake Fulton and Ethan Nix; his great-niece-Kennedy Richeson and his great-nephews-Chandler Buell and Oliver Richeson.